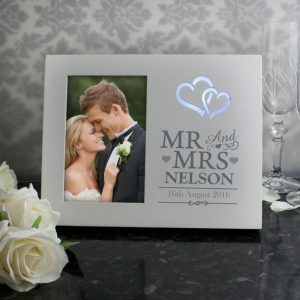 The Personalised Mr & Mrs Mirrored Photo Frame is perfect for the happy couple to remember their special day with. A free standing, mirrored frame that’s an exceptional wedding present for the newly weds and is sure to ‘wow’ them! 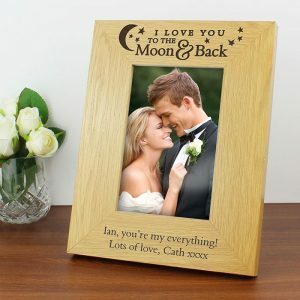 This elegant frame would also make a lovely wedding anniversary gift for friends or family members, so they to can remember times gone by. Mr and Mrs featured along the top is standard wording on the frame, but along the bottom you can add your own personal message to them. 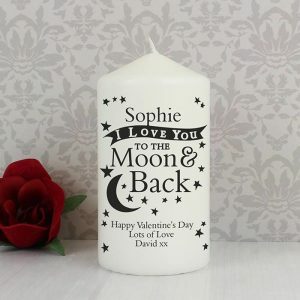 Any surname of 12 characters, and a date – 20 characters will be loving inscribed creating a unique keepsake. Please refrain from using all capital letters on line 2, this is due to the gorgeous script font we use to add the chosen date thank you. 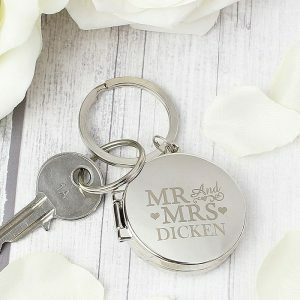 A charming mirrored frame that will add a touch of sparkle to any of their beautiful wedding pictures, and is a thoughtful personalised gift from you to them.